I am proud to be a resident of Atascadero since 1969. After moving my family from the Los Angeles area and settling in the northern San Luis Obsipo County, I worked as a barber and general contractor before beginning my Real Estate career in 1983. 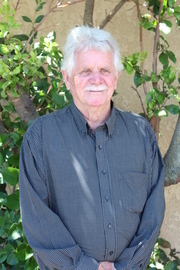 I have been an active member of the Atascadero MLS specializing in residential properties including homes, lots and ranches for the past 32 years. Hallmarks of my service are the way I treat my clients, both buyers and sellers, with commitment, knowledge, sincerity and honesty. Please do not hesitate to call me for any of your real estate needs or questions. My service to you will pay out much more than it costs. I look forward to being your Realtor.